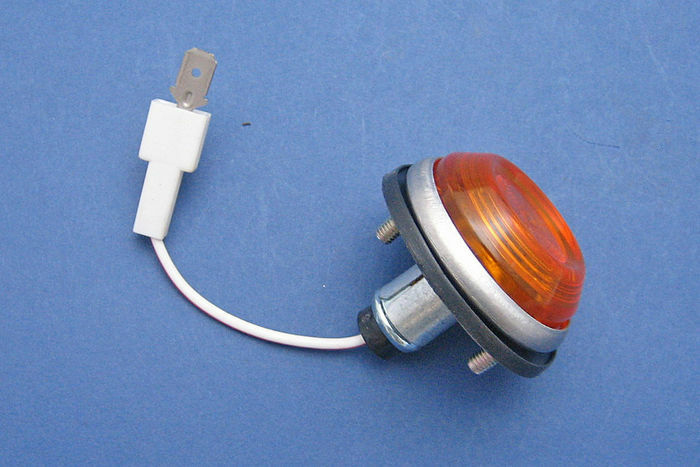 41mm diameter round repeater lamp. 2 x fixing studs. 6.3mm blade terminal. Supplied with rubber gasket and terminal cover. E-marked. Requires a BA9s bulb. 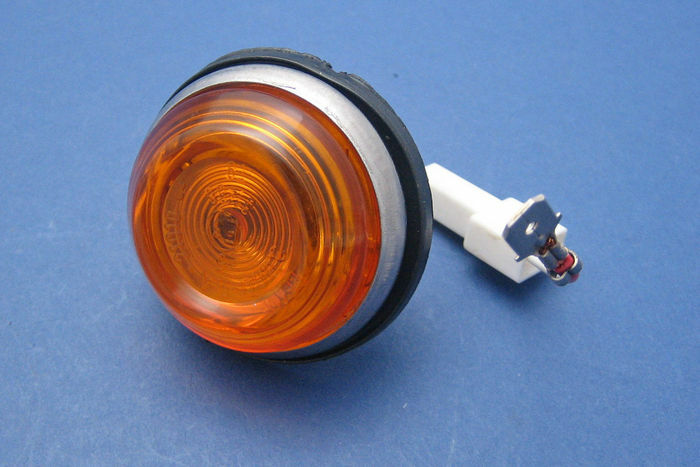 Please note that not all BA9s bulbs will fit this repeater due to the length of the bulbs glass globe. The following are suitable: 130301, 130302.